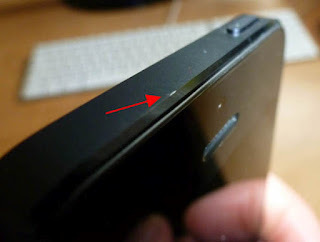 Smartphone Fanatics: Editorial: iPhone 5 "Scuffgate", Really? Ok, I think that this is a bit much. The iPhone 5 was released this past Friday and customers are already getting their pitchforks out for "Scuffgate". What is scuffgate? That is this year's "major design flaw" after the iPhone 4's "antennagate." Oh my God! 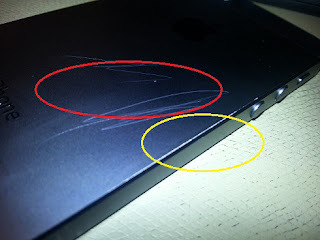 Yes, if you take a sharp object and start scraping it on the back of your iPhone 5, yes, it's going to get scratched! Duh! Yes, the anodized aluminum coating is going to wear off over the normal use life of the iPhone 5 if you chose to use it without a case. That's to be expected. Don't like your gear getting banged up, knocked around, or nicked? Put it in a case. Shove your caseless iPhone in your jeans pocket with your lose change, rings, or car keys? Yup, it'll get scratched up. You took a sharp metal object, say a Liquidmetal SIM card tray pin, and rubbed the sharp end on the back of your new black iPhone 5 you say? Yup, it's going to get scratched up! What were you expecting would happen? Come on people, the iPad is "magical," not the iPhone. The iPhone 5 also doesn't have a "molecular bonded shell" like KITT had in the 1980's TV show, "Knight Rider." People who are opening up the box an taking their iPhone out for the first time and finding scratches and nicks in the metal casing, yes, those people have legitimate complaints. People taking sharp objects to the unprotected metal plating don't. Ok, lets try to put this in perspective. You go out and buy a new car. Are you going to take the keys and rub them, sharp side to the paint, down the side of your new car? No! Why not? Because it will scratch the paint! So, no, of course you're not going to do that. And if you did, you can't go running back to the deal and demand a refund. They know you did it. Same thing applies here. To be fair, I'm not defending Apple. If they are shipping out iPhone 5 handsets that have paint chips, nicks, or other types of scratches or defects in the paint or metal band around the phone, they should be fixing it. Me? I'm a use it in a case kind of guy, because, honestly, I don't like my gear getting all scratched up. To get the iPhone 5 you had to either sign a 2-year contract with your wireless provider or shelled out $300+ to get the phone off contract so you really need to take care of the hardware. Let's lighten up on the gear, ok, folks? This stuff isn't indestructible.